People often make huge judgements on tech solely from the headline. The growing claim that “wearables are dead” I’ve found in stories in the media and my conversations with other tech people just feels incredibly shortsighted. Wearables aren’t dead or dying. Here’s why. Firstly, what is wearable tech? There’s a lot around in wearable tech and it isn’t showing signs of dying down any time soon. Wearables had a few rough patches in 2016, which often led to declarations that wearables were now deceased. The biggest of these was the news that Pebble had closed its doors and sold some of its assets to Fitbit. That was a blow to many Pebble fans, myself included. However, it wasn’t a sign that wearables were dying. Nor a sign that smartwatches were collapsing. It was just one company that didn’t quite do as well as hoped. Competition came in and made life more difficult. What competition you ask? Other wearables. The Apple Watch was released and took a big chunk of the market. Fitbit and other fitness trackers were quite successful, and Pebble didn’t quite have fitness tracking on their radar until late in the game. Smartwatches aren’t dying, they’re just in a whole wearables industry full of many participants all trying to work out what works best. Jawbone had been having some difficulties too which also led to the pronouncement of our wearable industry’s death, but at least one part of its difficulties was resolved with Fitbit dropping their patent challenge late last year. That’s another company struggling against another competitor in wearables, not against the survival of their whole industry. Fitness trackers did pretty well in Christmas 2016, with Fitbit’s iOS app hitting number one in the App Store over the holiday season. Pebble wasn’t the only news to mark the death of smartwatches. Last year, LG, Huawei and Lenovo all said that they weren’t releasing new smartwatches in 2016. That was it. Clearly, smartwatches are a collapsing market. Not only that but Android Wear 2.0 was delayed. In a lot of media and discussion, people just mash the two together — smartwatches are wearables. Wearables are dead. If wearables were indeed dead, maybe now they’re the undead. I don’t think I’ll ever look at my Pebble watch the same way again. Wearables haven’t become a mainstream thing as quickly as some companies had hoped, but that doesn’t mean they are dead. It just means it will take a bit more time before wearable technology becomes a more mainstream concept. As technology progressively gets smaller and smaller, it’ll be more and more convenient to have technology on us at all times. We are still in the experimentation phase trying to work out what makes the most sense while getting it into a more compact form factor. Smartwatches aren’t for everyone. Just like Beats headphones aren’t for everyone. Nor are Snapchat’s Spectacles. That doesn’t mean the technology is destined to fizzle out and die. I think smartwatches, in particular, were slightly over-hyped, with a lot of the hype not pairing up with actual consumer demand. Many were happy not to wear watches anymore now that they had smartphones, so encouraging people to return to wearing watches is a tough task. Yep. Not quite dead then. I honestly believe that wearables are going to be a big thing — we just won’t likely be calling them “wearables”. They’ll be all sorts of emerging technology from the list above that will become more commonplace. We are already very used to having technology with us at all times — most of us keep our smartphones in close vicinity at all times. Wearables are just an extension of that concept, but in a way that’ll make these devices almost invisible. Rather than a smartwatch, you might wear a pair of smart glasses that serve as both your smartphone and personal assistant. Similar to Google Glass but with the social stigma and kinks worked out. For those who don’t want to wear glasses, they might instead wear smart headphones that will provide a personal assistant ready to provide them information and directions at any time. Apple’s AirPods, Hear One smart earbuds, Vinci headphones, Vi biosensing earphones and many others are on the way (Apple’s AirPods are already available!). Will everyone wear smart headphones? Or smart glasses? Not necessarily. But there’ll be some form of wearable that’ll work for different personalities. The wearable technology ecosystem will be incredibly diverse and very personal. 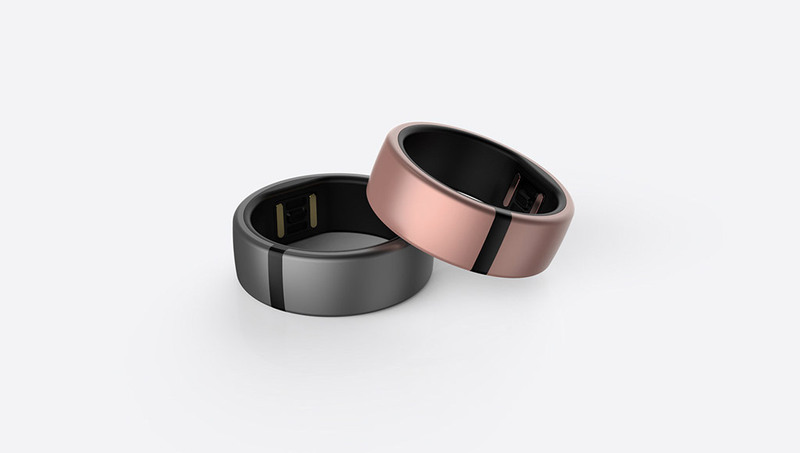 This year at CES, the Motiv Ring was revealed which is an activity tracker on par with Fitbit but in the form of a ring. That could sway some people who didn’t want to wear anything on their wrists to wear technology in a different way. Smartphones are the most personal and important items most people own in this modern age. They contain our memories, our contact to loved ones, our source of instant gratification and, to an extent, our very own superpowers. Wearables will be even more personal than that because what we wear is a large part of our identity. 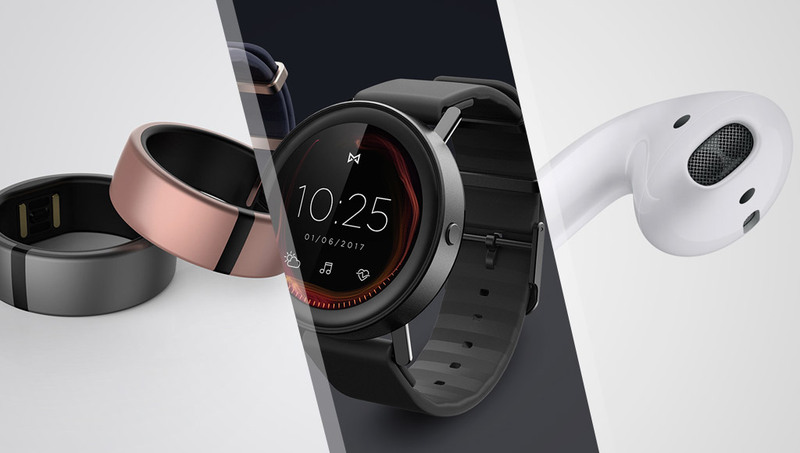 Smartphones can be tucked into a pocket and hidden away, but wearables will be much more visible — so variety is going to be essential. Early stage wearable tech didn’t quite manage to be the fashionable items that people would be willing to wear, but some fitness trackers and even the Snapchat Spectacles are managing to achieve that now. Another successful device for Christmas 2016 was the Amazon Echo. The Echo sold out over Christmas and the Alexa app came in at number 4 in the iOS App Store. The rise of Amazon Echo and other personal assistants in 2017 is likely to build up that AI ecosystem to the point where people will want Alexa (or their other assistant of choice) with them at all times — how will they get this? Wearables. I think Pebble were onto something with their Pebble Core, sadly that product is dead. 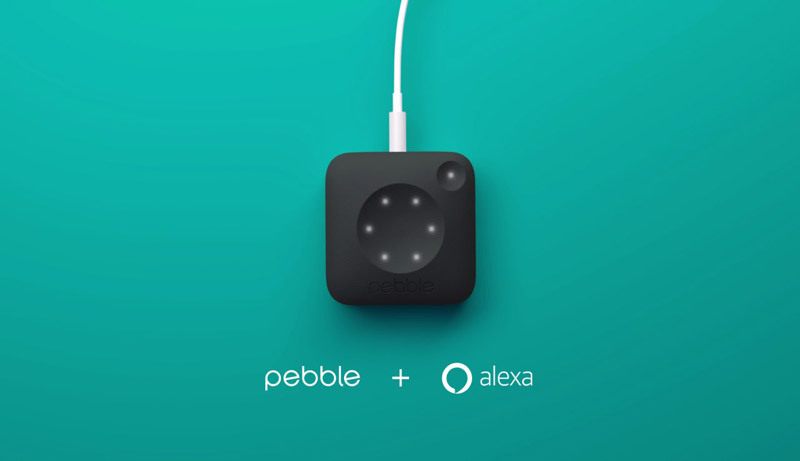 The Pebble Core was intended to contain a portable Alexa! Connected clothing is on its way, but I’m certain it’ll take a bit of time to find the most successful combination of clothing and tech which the public are actually interested in wearing. For it to really take off, it’ll need to be either completely invisible or super fashionable. 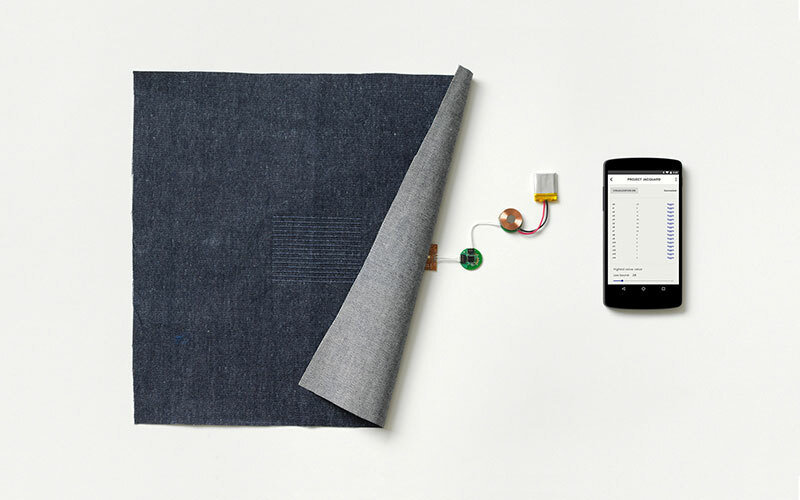 One project that’ll move us closer to this reality is Project Jacquard from Google. Let’s keep wearables alive for a bit more. 2017 will be an interesting year — we will get to see how wearable tech evolves and changes. Maybe it’ll be the death of calling them “wearables”? Smart headphones are already being called “hearables”. Either way, emerging tech is moving towards a wearable future. VR/AR headsets will slowly become compact enough that we can wear them as glasses and carry them around. Fitness trackers will keep their niche but move into more compact or fashionable offerings. I’m certain we’ll have plenty of dud wearable products too, but I don’t think they’ll take down the entire concept of wearable tech. I do worry about the amount of tech waste they’ll add to landfill but that’s an opinion piece for another time!